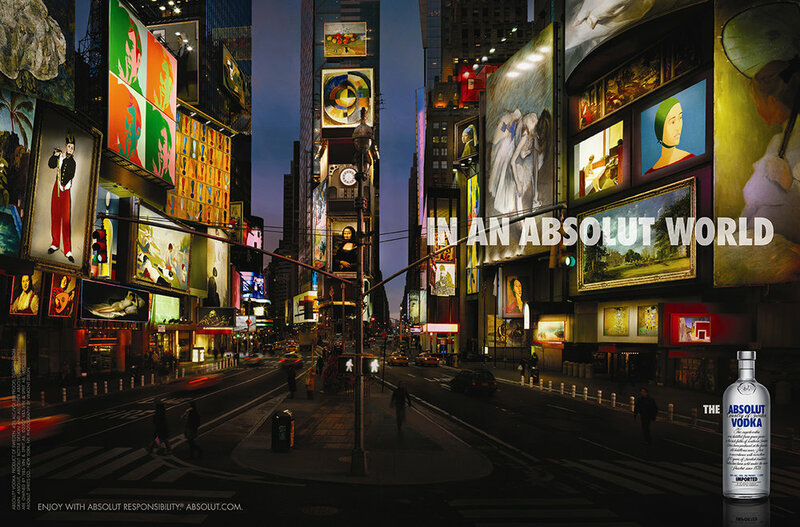 I was asked to contribute an image for the absolut campaign that depicted scenes in a "perfect world". Time Square was transformed from a canyon of advertisements into a museum. My painting was the only work chosen created by a living artist. A nitrogen painting was chosen to illustrate an article in the New York Times on the element Nitrogen. A special Nitrogen piece was commissioned by Scientific American to illustrate an article concerning the element. I was commissioned to create a painting depicting the San Francisco Museum of Modern Art in the midsts of it's major remolding. This appeared on the back cover of their members magazine. This small article appeared in the magazine Aishiti about my art. I was asked to contribute three paintings in Molecular Aesthitics, an art book that explores that interpretation and science.